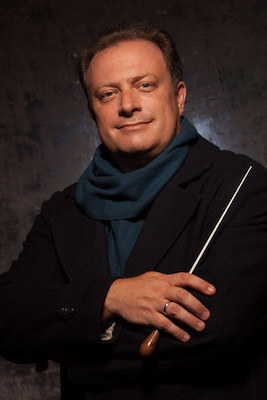 Michael Seal is the associate conductor of the City of Birmingham Symphony Orchestra (CBSO), a unique appointment which recognises his work as Assistant Conductor, and the special relationship he has built with the orchestra. His in-depth knowledge of orchestras from an insider’s position (he was a violinist with the CBSO early in his career) gives him a unique perspective and he quickly builds rapport and trust with the orchestras he works with. His energy and enthusiasm are infectious and he has built a reputation for outstanding results, delivered with great charm and often on a tight, typically British rehearsal schedule. Michael has worked with many of the UK’s finest orchestras, frequently being invited as guest conductor with the BBC Symphony Orchestra, BBC Philharmonic and Royal Liverpool Philharmonic orchestras, as well as the Academy of St Martin in the Fields, BBC Concert Orchestra, BBC National Orchestra of Wales, BBC Scottish Symphony Orchestra, Bournemouth Symphony Orchestra, Royal Philharmonic Orchestra, London Philharmonic Orchestra and Ulster Orchestra. Internationally, he has conducted the Frankfurt Radio Symphony Orchestra, KBS Symphony Orchestra, Norwegian Radio Orchestra, Odense Symphony Orchestra, Joensuu City Orchestra, Orquesta Académica del Instituto Superior de Arte del Teatro Colón, Orquesta Filarmónica de Buenos Aires and both RTÉ Concert and National Symphony Orchestras. Michael has a special bond with the CBSO Youth Orchestra, which he has been involved with since its foundation and has conducted on numerous occasions. He is also artistic advisor and conductor for the CBSOYO Academy, a chamber orchestra formed in 2007, and is passionate about working on ensemble playing and orchestral sound with orchestras at all levels. His love of opera led to critically acclaimed performances of Puccini’s Il Trittico at the Birmingham Conservatoire, and he has assisted both Sakari Oramo and Andris Nelsons in opera performances of Peter Grimes, Carmen, Der Rosenkavalier, Lohengrin, Tristan und Isolde and The Flying Dutchman. A champion of lesser-known British composers such as Bantock, Bax and York Bowen, he enjoys programming interesting repertoire and exploring connections between composers. Last season, Michael made his debut with the Brussels Philharmonic, in addition to several appearances with the CBSO, various BBC Orchestras and the Royal Liverpool Philharmonic Orchestra. He makes his debut with Trondheim Symphony Orchestra and the Malaysian Philharmonic in 2019.